Finance Minister Piyush Goyal Monday exhorted state-run banks to step up lending to micro, small and medium enterprises, agriculture and housing sectors and also assured these lenders of all kinds of support. Observing that the Insolvency and Bankruptcy Code (IBC) has helped the public sector banks (PSBs) recover over Rs 1 lakh crore in the three-quarters of the current financial year, the minister exuded confidence that it would make them more profitable in days to come. "We have discussed how working of IBC has helped them recover large amount of money both through the IBC mechanism and NCLT (National Company Law Tribunal), and in many cases without having going to NCLT through the pressure that is built up on the large borrowers," he told reporters after his first meeting with the heads of PSU banks after taking over as interim finance minister. 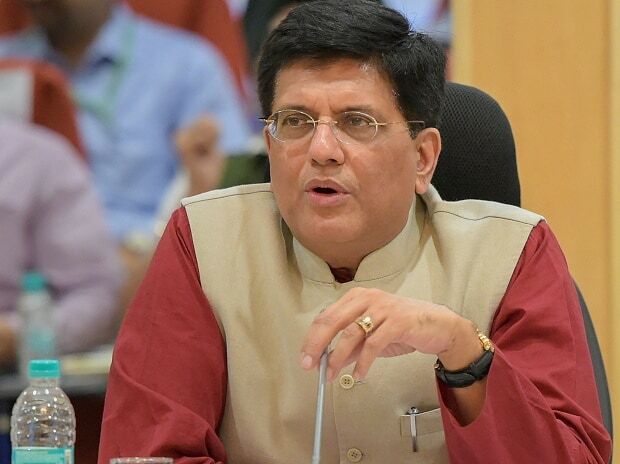 Goyal further said the meeting also discussed internal mechanism to resolve cases under the RBI guidelines and within the framework set in the bankruptcy court and see how there can be a faster resolution so that business can turnaround and banks can turnaround. Assuring full support to public sector lenders (PSBs), the minister said bankers have also got confidence from the amendment in the Prevention of Corruption Act that bona fide actions are protected by the law. Anybody indulging in bad practice will not be spared but genuine commercial decision taken by bankers will be protected, he said referring to the changes made in the Prevention of Corruption Act. The minister also said that banks have had discussions on various matters with RBI Governor Shaktikanta Das. They have also discussed various ways in which the operations of the banks can become more efficient, customer friendly and profitable, besides ensuring that the stated goals of this government are directed towards reaching financial inclusion of every Indian anywhere in the country, he said. "We would like them to look at ways to improve delivery of services to our farmers. We would like them to be more proactive in encouraging retail businesses. We are going to see a far more vibrant, a far more proactive and a far far more profitable banking sector in the days to come," he said. Talking to reporters, SBI Chairman Rajnish Kumar said RBI Governor Das was very receptive to whatever bankers have submitted. He, however, did not share details of the deliberation with the RBI governor. Punjab National Bank Managing Director Sunil Mehta said there was discussion with regard to efficacy of recovery so that public sector banks can help boost economy. Talking about the review meeting, Goyal said banks under Prompt Corrective Action (PCA) framework were advised to maintain the trend of improvement in performance, with a view to bringing them out of the PCA framework at the earliest. In this connection, the significant reduction in stressed assets and significant de-risking of their credit portfolios during the current financial year were taken note of, he said. Banks agreed to work further on increasing use of advanced data analysis and where possible, artificial intelligence algorithms for better, faster and hassle-free credit decisions and monitoring of accounts, Goyal said. Citing a number of positives, the finance minister highlighted the need for each and every PSB to ensure that recent gains are sustained and better service delivered to all stakeholders. Banks were asked to leverage the pipeline of Jan Dhan-Aadhaar-Mobile (JAM) to provide better access to financial inclusion products and services to accelerate the realisation of a digitalised, financially included and insured society, Goyal said. On the back of recapitalisation of PSBs by over Rs 2.6 lakh crore and recovery of over Rs 2.8 lakh crore including record recovery of over Rs 1 lakh crore in the first three quarters of the current financial year since clean-up began in 2015, and comprehensive reforms for better underwriting of loans, PSBs committed to significantly step up the level of domestic credit growth from 9.1 per cent year-on-year at the end the second quarter of the current financial year. Earlier, RBI Governor Das highlighted the importance of PSBs for the economy at all times and especially at the present juncture in helping meet broader economic goals. He also flagged the need for PSBs to extend credit while observing prudential norms but without excessive conservatism. Das asked banks to take advantage of the MSME restructuring scheme to support viable MSME units. The RBI governor flagged the need for further strengthening various aspects of banking, including underwriting standards, capacity building, use of technology and governance.